Hermie the caterpillar encounters a host of delightful characters and quickly wriggles his way into the hearts of young and old alike! As the animation engages young minds, the truth of God's purpose and plan for His people touches their souls. The fun-filled Hermie series delivers an encouraging message of hope. 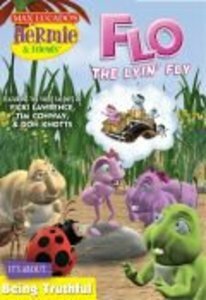 Customer Reviews For "Flo the Lyin' Fly (#02 in Hermie And Friends Series)"